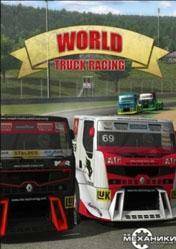 World Truck Racing is a driving game based on awesome truck racing. Sit behind the wheel of a huge truck with over 400 horsepower and accelerate as fast as the high-powered cars. Test your driving skills and the first to reach the goal directly confronting other players. Configure your monster over four wheels to achieve unmatched handling and performance on the track. There are no comments yet about World Truck Racing . You can be the first one!